Time to brush up on my Low German! As of today I’m starting a pretty special new project: textbook illustrator! Last fall, my Dad was part of a team that traveled to Bolivia to help with construction projects at a new village called Hacienda Verde (“Green Farm”). While there, he met teachers from the nearby Villa Nueva school, and they spoke about the Low German curriculum being developed. The kids there are already learning Spanish and English, but there is a substantial Mennonite presence in the area and that means learning Low German too! 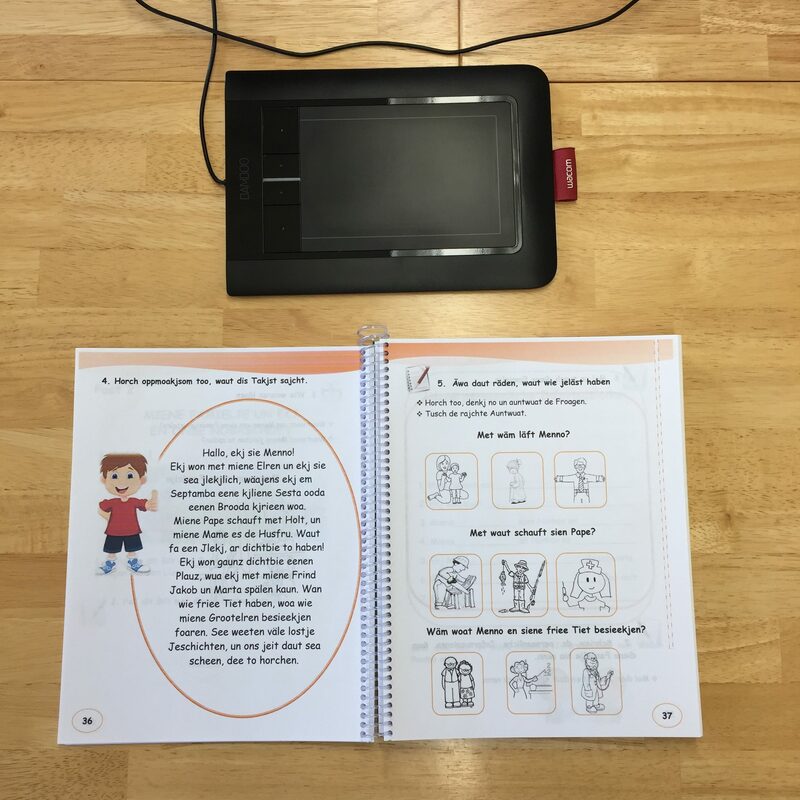 They’ve written a textbook, and textbooks need pictures; but the pictures they have are of wildly varying quality and style, being sourced from clipart libraries and the internet. The teachers wanted something a little more consistent and that would be theirs to own. Dad said he knew just the person, and showed them my website. They reached out to me, and I was happy to help! After sending some samples they liked and hammering out the details, we agreed that I would start in April. There’s a -lot- of work to do, but I think it’s going to be a lot of fun too! I have Low German Mennonite roots myself, so maybe I can learn a word or two while I’m at it. The extra significance of this project is that most of the people in Hacienda Verde have fled or been forced from their homes in the nearby Old Colony Mennonite communities. The colonies are known to be extremely dark places, rife with physical, emotional, and spiritual abuse. They maintain little contact with the outside world and colony elders exert strict control over their members’ lives. Families who choose to leave, or are excommunicated, go with little more than the clothing they’re wearing. They’re also cut off from their entire community and support network. Hacienda Verde represents new hope and the start of a new life, which is why folks from our church and our area are trying to help the village grow and become a vibrant, self-sufficient place. So anyway, wish me luck! I may post samples from time to time. And yes, I’m still doing book campaign fulfillment duties — I haven’t forgotten those! 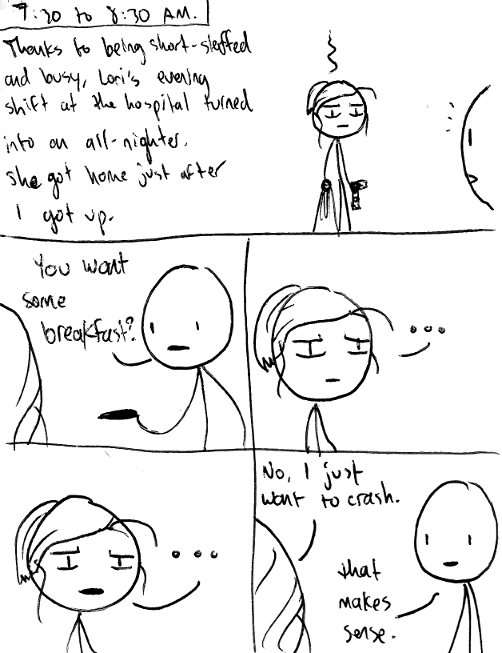 Last Thursday (Feb.1) was hourly comics day, and I did some! Please enjoy them! 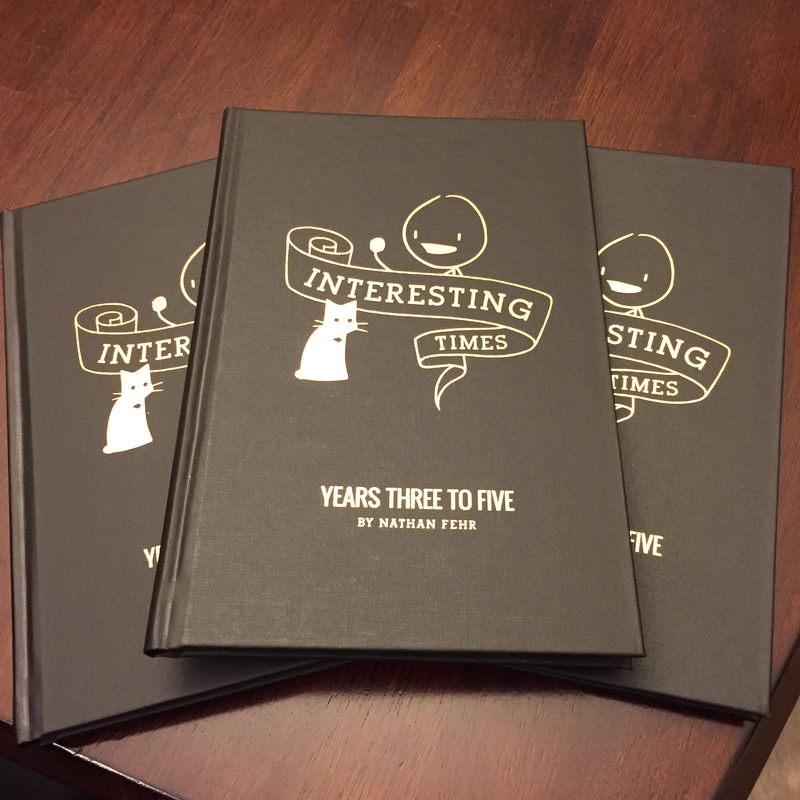 Pre-order Interesting Times Volume 2! Do it!! 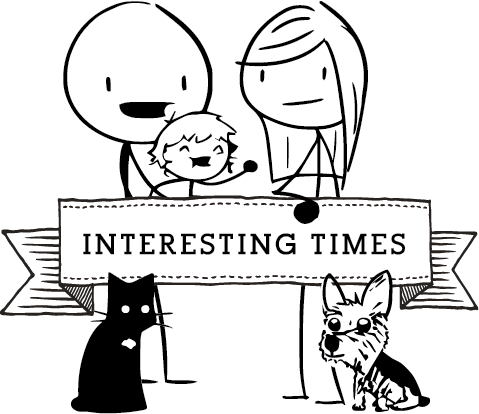 It only took a few years, but we’re finally ready to print INTERESTING TIMES VOLUME 2! It’ll have the best of years 3-5, and also there are some cool new pre-order bonuses!! Please click this link and then give us your money! Steven Sukkau over at Golden West / PembinaValleyOnline interviewed me last week, then wrote a nice article about the comic drawing to a close. Check it out! Hello, readers! Let’s rip this band-aid off quickly: As of today, I’ll no longer be writing Interesting Times. Thank you so much for your wonderful support over the past eleven years. I say it every year and I mean it every year. I’ve often been amazed and humbled by the response these comics have garnered, and because of my silly internet drawings I’ve made new friends and had opportunities I could never have imagined. You’re all cool and smart and everybody thinks you look great! The site will stay up for as long as I can afford it (and it’s cheap, so no worries) and Volume 2 of the book will still happen! Coming up after the break, our special guest explains how to fish for compliments by pointing out the flaws in what you made!